SP102 is rated 4.5 out of 5 by 2. Rated 5 out of 5 by Redneck from I love this stuff. 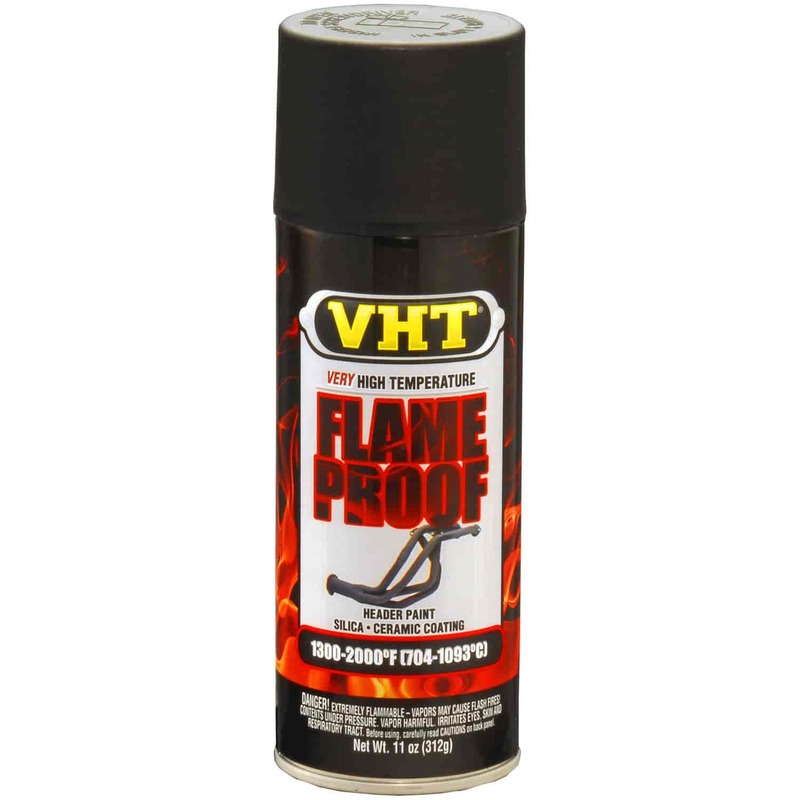 I use it on Motorcycle Exhaust pipes and it works great (Scuff, Scuff, Scuff). I also used it on my grill. It's great for high heat applications and looks cool. Rated 4 out of 5 by DJFROMPA from VHT flame proof coating painted all my exhaust pipes and cured them as per VHT SO FAR SO GOOD! When installing the catalytic converter I had to heat the inlet cherry red to install it on the exhaust pipe which was also coated with VHT , so I decided to put it to the test the VHT had already been cured. WELL I COOKED IT WITH A TORCH! NO PROBLEM! I had that sucker real hot ,infrared thermometer 620 deg. and rising.